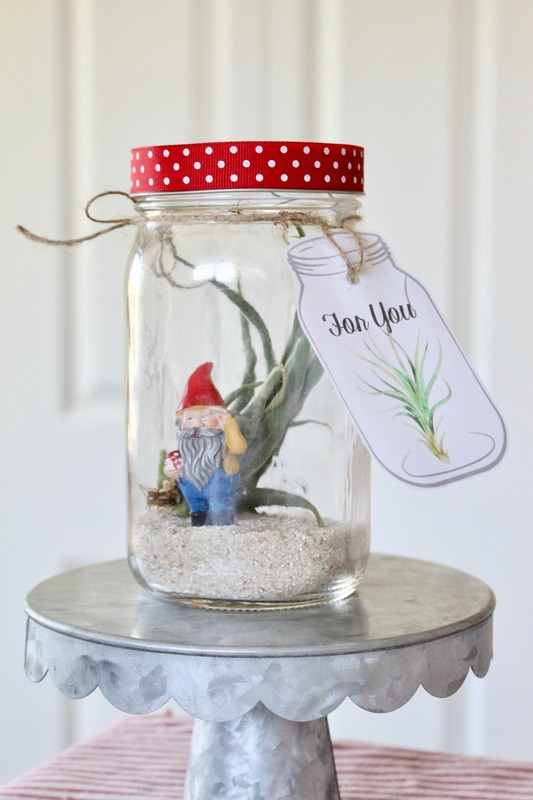 They need little water or care– yet they’re so beautiful… I created this Air Plant Gift in a Mason Jar with Printables so you can share these charming Tillandsia plants with family, friends, and loved ones… whatever the occasion! 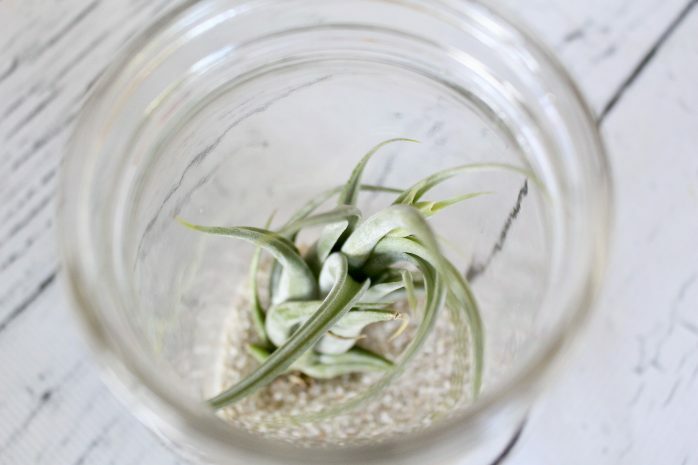 Tillandsia are commonly called “air plants” because they don’t grow in soil. They are a type of succulent. It will take you about a minute to assemble this project. Here is the cool thing about Tillandsia (air plants), they are able to retain their moisture and nutrients on their leaves instead on in their roots. Supplies: Quart sized smooth side mason jar, sand, Tillandsia (air plant), and a cute figurine, like this little gnome. Ribbon or twine and some craft glue if you want to decorate the rim on the lid. 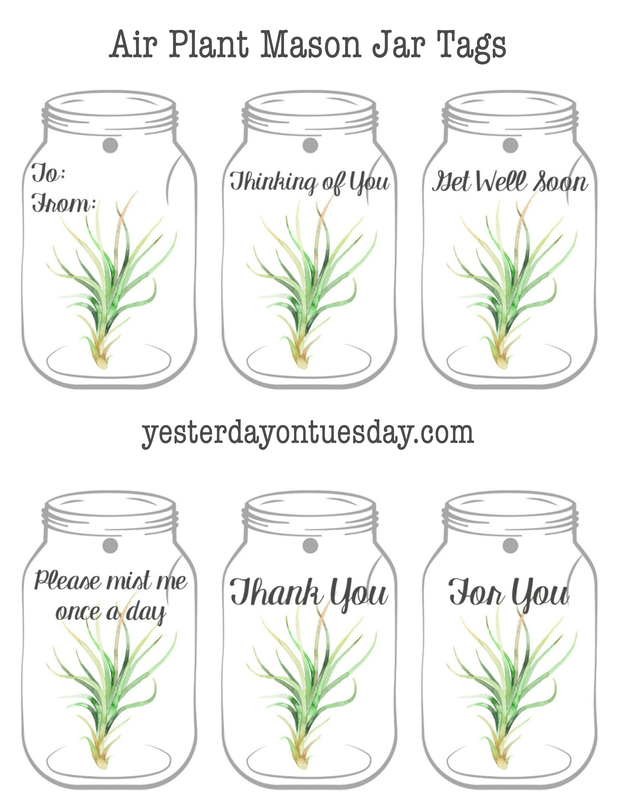 Then snag this sheet of Air Plant Mason Jar Tags. Step 1: Add some sand to the mason jar. Step 2: Place the Tillandsia inside. Step 3: Place the gnome inside. Step 4: Add ribbon to mason jar lid rim. Step 5: Add a cute tag. 1. Keep your plant in a dry place and mist it once a day (pop it out and mist it) or soak for thirty minutes once a week. Don’t let the plant remain wet for more than four hours. 2. 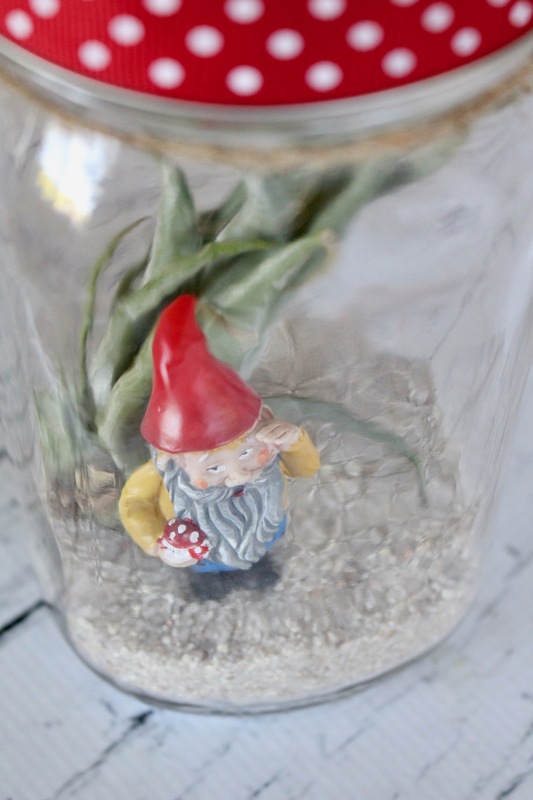 Do not put the lid on the mason jar, Tillandsia require good air circulation. 3. The temperature in the room should be about seventy degrees. 4. Tillandsia do well is indirect bright light with periods of dark. 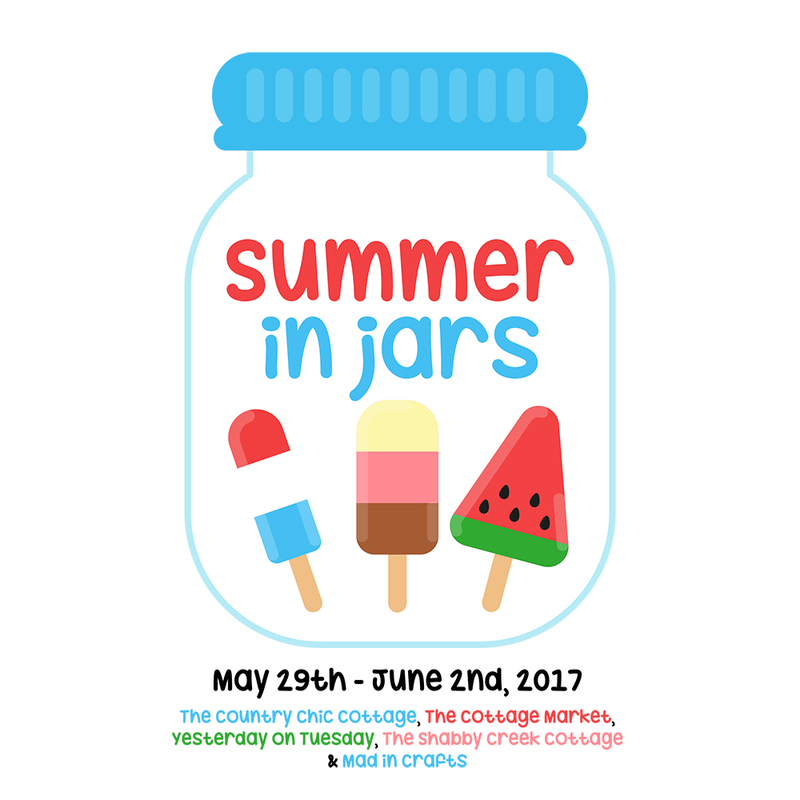 See you tomorrow for another COOL mason jar project! This is cute as a button, Malia! I’ve never tried growing an air plant. They are so cute!